The approaching Lunar (Chinese) New Year is the Year of the Rabbit, which is the same as the Lunar New Year in which I was born. The red envelopes are called 红包, (literally “red envelope”) and they are for gifts of money given to kids. 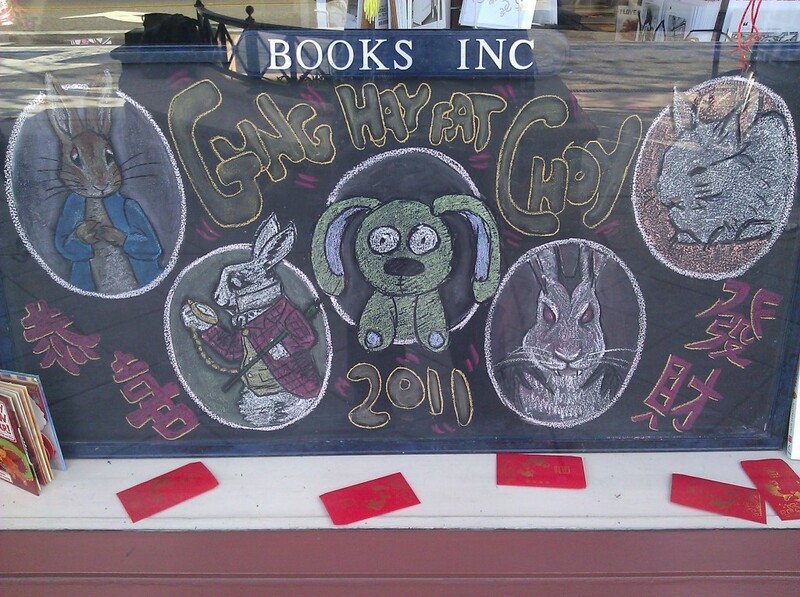 “Gung Hay Fat Choy” I believe is a Cantonese transliteration of 恭喜发财, which in Mandarin is gong1 xi3 fa1 cai1. A further clue is that the Chinese characters on the chalk board are the traditional Chinese characters, used outside of the People’s Republic of China, and more familiar to past generations of Chinese immigrants, often from Southern China.